Natural Ulcer Treatment; Kanwa Minerals Energy/Detox Formula works as a Gentle, Daily Natural Treatment for Stomach Pain, Ulcers and Poor Digestion- Now Available at Blaines Nutrition Health Food Store in Redondo Beach, California. Zion Health’s Kanwa have been used in indigenous cultures for centuries as homemade detoxifying remedies for stomach pain and intestinal distress. Zion Health announces the release of Kanwa Detox Natural Treatment for stomach pain, ulcers and poor digestion at Blaines Health Food Store located at 206 Avenue F in Redondo Beach, CA. Kanwa Detox Formula contains the active ingredient, Calcium Montmorillonite Clay (Kanwa), known to relieve digestive disorders including diarrhea, stomach pain, gastritis, food poisoning and ulcers. Trace mineral elements are essential for optimal digestion. 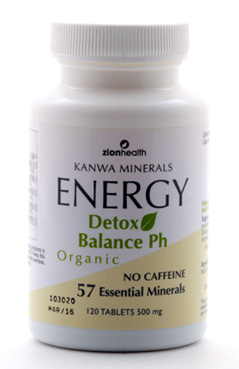 Zion Health’s Kanwa Minerals Detox Formula contains 57 essential trace minerals from Calcium Montmorillonite, a “living clay,” scientifically proven to bind and eliminate harmful bacteria and toxins throughout the digestive tract. A study by The American Journal of Clinical Nutrition supports the benefits of certain clays and their adsorption of dietary and bacterial toxins associated with gastrointestinal disorders. Zion Health’s Kanwa Detox Formula’s “living clay” has a large surface area that gently rids the body of harmful contaminants via a mild negative ionic charge without shocking the system like harsh flushing detox herbs. Centers like The Medical Institute in France use Kanwa Minerals as a natural treatment for diarrhea in both children and adults. Zion Health’s Kanwa Energy Detox formual acts as a natural catalyst for cellular metabolism with minerals that enhance the production of bodily enzymes. Silica is critical for this metabolic activity and must be continuously supplied by food sources or with natural supplements. As a rich source of silica, calcium and other elements, Kanwa Minerals Detox Natural Treatment may replenish micronutrients in depleted cells and improve cellular metabolism via greater nutrient absorption. Healing smectite clays like Zion Health’s Kanwa have been used in indigenous cultures for centuries as homemade detoxifying remedies for stomach pain and intestinal distress. Sourced from volcanic ash deposits, these clays naturally absorb stomach acid, toxins and bacteria often responsible for intestinal inflammation and ulcers. As a powerful detoxifying agent and daily nutrient rich supplement, Zion Health’s Kanwa Minerals Energy Formula may alleviate stomach disorders and improve digestion and overall health. 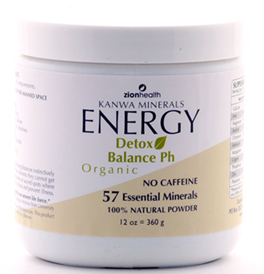 Zion Health’s Kanwa Detox Natural Treatment is available at select health food stores including Blaines Health Food Store located at 206 Avenue F in Redondo Beach, CA and online at http://www.kanwaminerals.com. 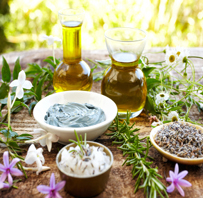 Zion Health provides consumers with pure skin and body care products that are 100% vegan, free of parabens, aluminum, sulfates and are formulated using certified organic ingredients whenever possible. For more information on Zion Health products, go to: http://www.zionhealth.net.